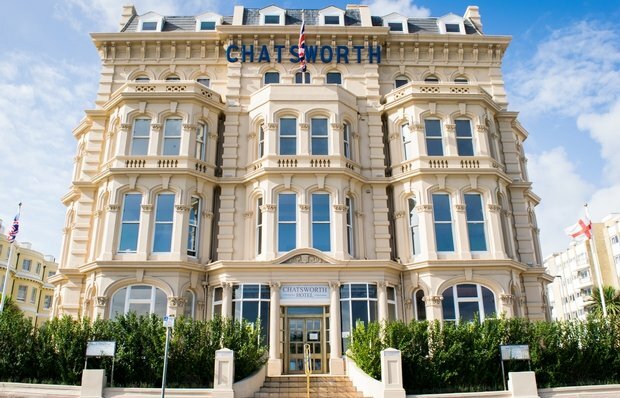 The Chatsworth Hotel is a luxurious beach front destination bringing glamour and luxury to Eastbourne together with a world-class restaurant that reflects a fresh modern style, a Valmont Spa and their amazing products, a gym and hammam. The fabulous suites and rooms, many of which have breathtaking sea views, are a celebration of elegance, and feature high ceilings, traditional large windows, glorious Murano lights, bespoke furnishings, and Italian marble bathrooms, together with state-of-the-art technology including flat screen TVs, free Wi-Fi and minibars. The magnificent marble floored reception with a beautiful original Art Deco lift, leads to a stylish lounge and an intimate bar with a humidor and cigar terrace.